All of my softwares are opening with VLC / Notepad / any other program. How to Fix it? exe fixer ? It happens many time when we change the default program of exe with media player, note pad, or any specific program. And it opens all the softwares/ programs with the same software as VLC / Media player / Notepad etc. We need is exe fixer. How to make it? Follow this. I have two method. The easiest one is download the below registry edit software. This will not run by VLC / scheduled program as it's extention is .reg. It has some command, which will resolve the issue. In some case your antivirus will not allow this, the reason is that it is in .reg extension. In this case you can create your own registry fixer program mentioned below. After downloading below program, just double click on that and press yes when ask for administrator permission. If not worked goto below process. 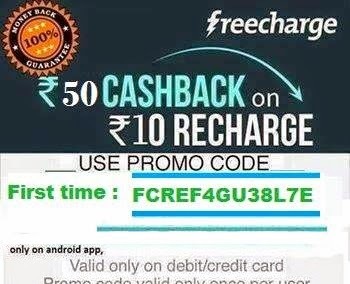 For this trick you need to open note page. 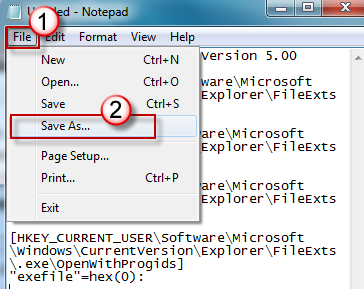 If you cannot able to open notepad, then follow steps 1 to 3 also, otherwise follow from step 4. Open the Task Manager, press CTRL + SHIFT + ESC or right click on task bar below and choose task manager in windows 7. Click File , press CTRL and click New Task (Run…) at the same time. A command prompt opens as shown in pic. In the command prompt just type notepad, and press ENTER. It will open notepad. As shown in pic. Note [filepath] is a placeholder which is to input your Exe.reg file location (e.g. C:\Exe.reg). Note You may have to restart the computer to restore the program icons to their original appearance. Note After the problem is resolved, delete the Exe.reg file so that it is not mistakenly added back to the registry at a later date. In the Open box, type explorer and then click OK.
Navigate to the Windows directory (e.g. a typical path may be C:\Windows) and locate regedit.exe. Right-click on regedit.exe and select Run as. Uncheck "Protect my computer and data from unauthorized program activity" and click OK. Select Delete and then click OK.